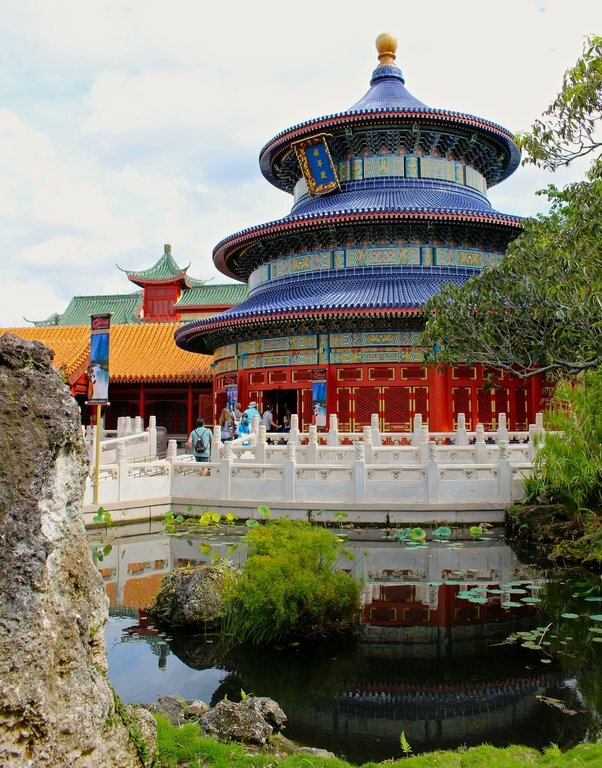 Every time I stroll Epcot’s World Showcase, I find something new to love in every country. 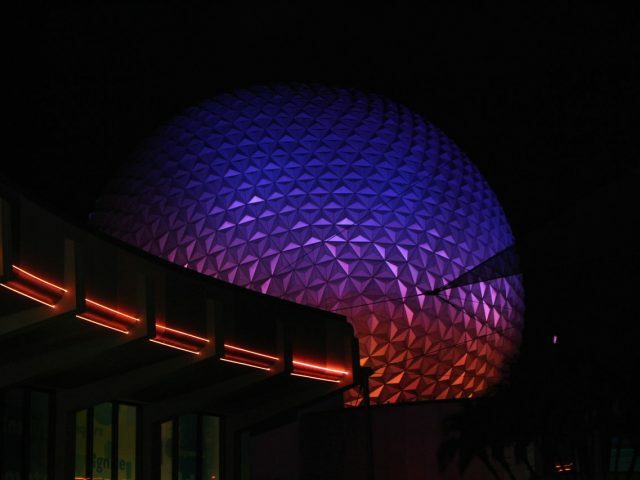 Here are three things in each pavilion I wish I could “Pop In” and experience today! In Canada, it’s the quick-service Cheese Soup ($4.19 at Refreshment Port), Victoria Gardens, and carved totem poles (two of which were just installed in 2017). 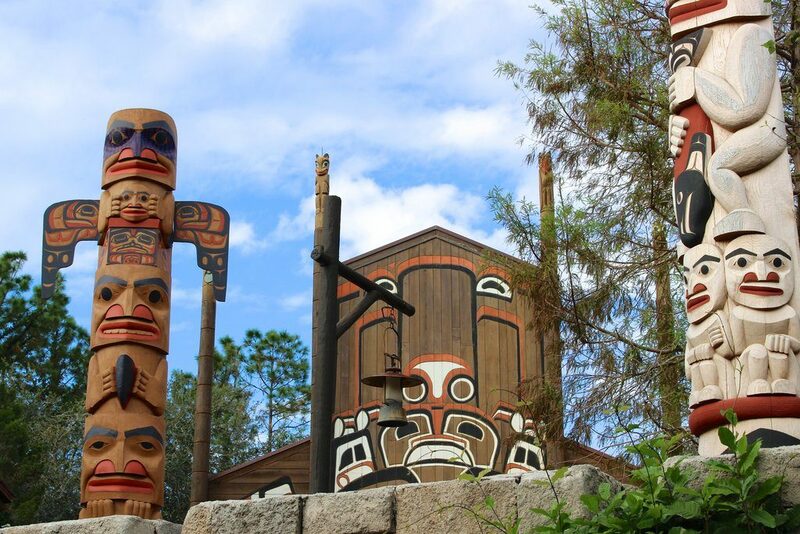 These totem poles were created by Tsimshian artisan David Boxley. 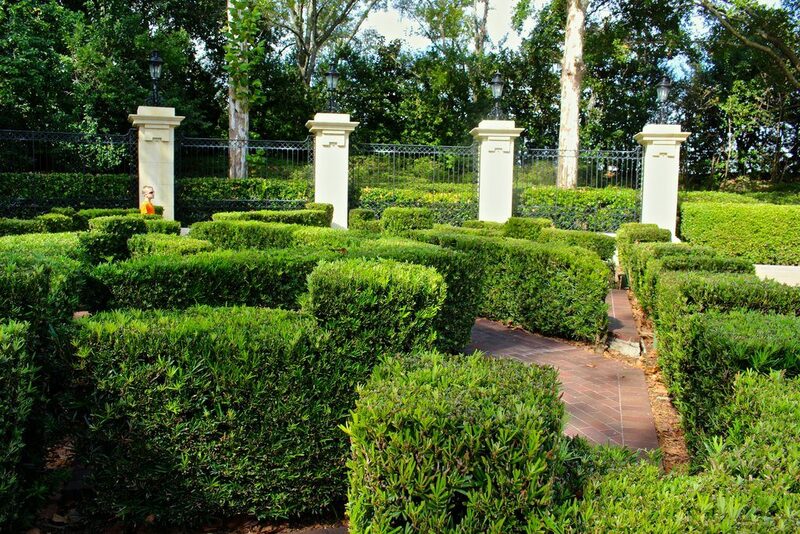 The boxwood maze at the rear of the UK pavilion is a perfect place for hide and seek. 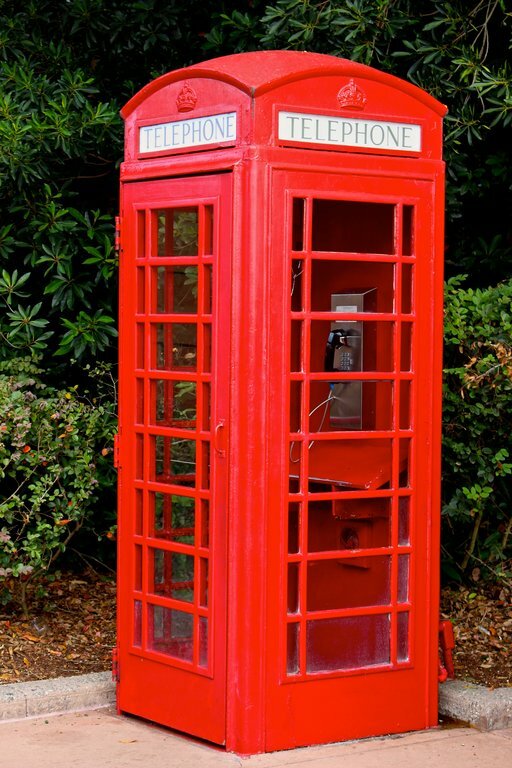 After you explain to your kiddos what a payphone is, you can move on to explaining what a phone booth is. 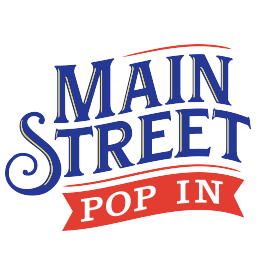 All the UK shops connect into one eclectic shopping experience. 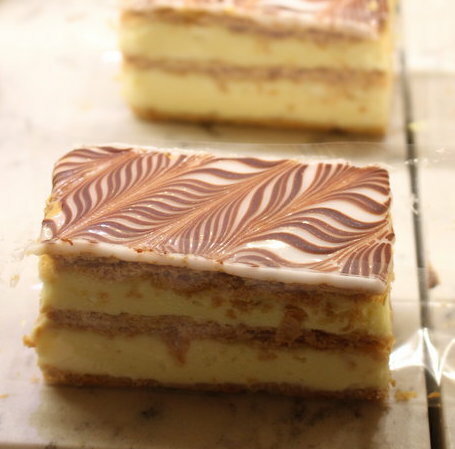 And if you know anything about me, France is my favorite place to eat. 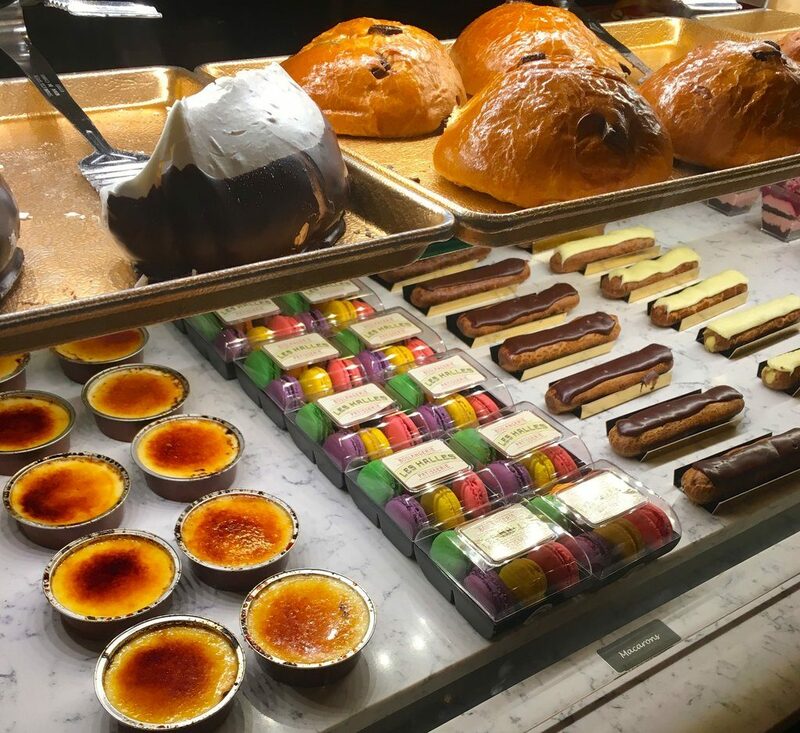 I love all the restaurants at this location, but the one that I go to the most is also the least expensive, Les Halles Boulangerie-Patisserie. Someday I’ll try something new at Les Halles, but right now I can’t stop myself from getting a Jambon Buerre sandwich ($7.50) and a Napoleon ($4.25). 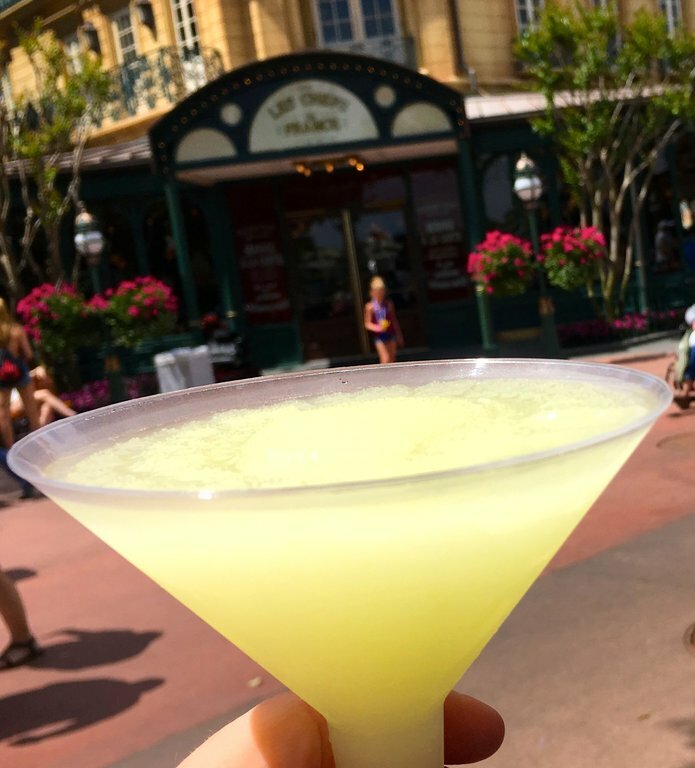 But I do venture away from the bakery to grab my favorite drink—a Grey Goose Slush ($9.86). A few of the dessert offerings at the France pavilion. 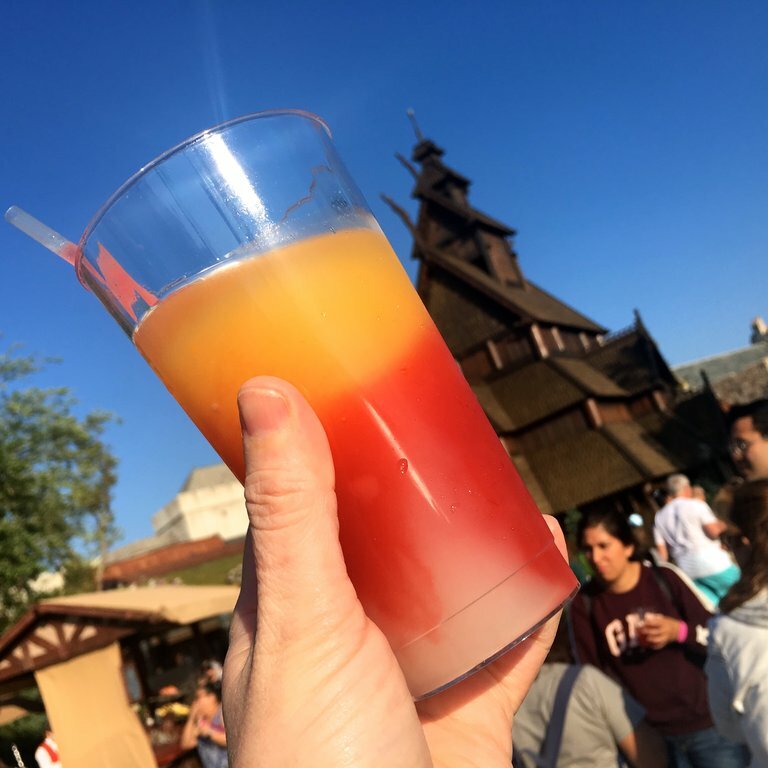 I can’t imagine a visit to World Showcase without a Grey Goose Slush. But it’s not all food and drink in France. It’s also my favorite place to get family members to pose for a hand cut silhouettes—a unique Disney souvenir they’ve been offering for decades. 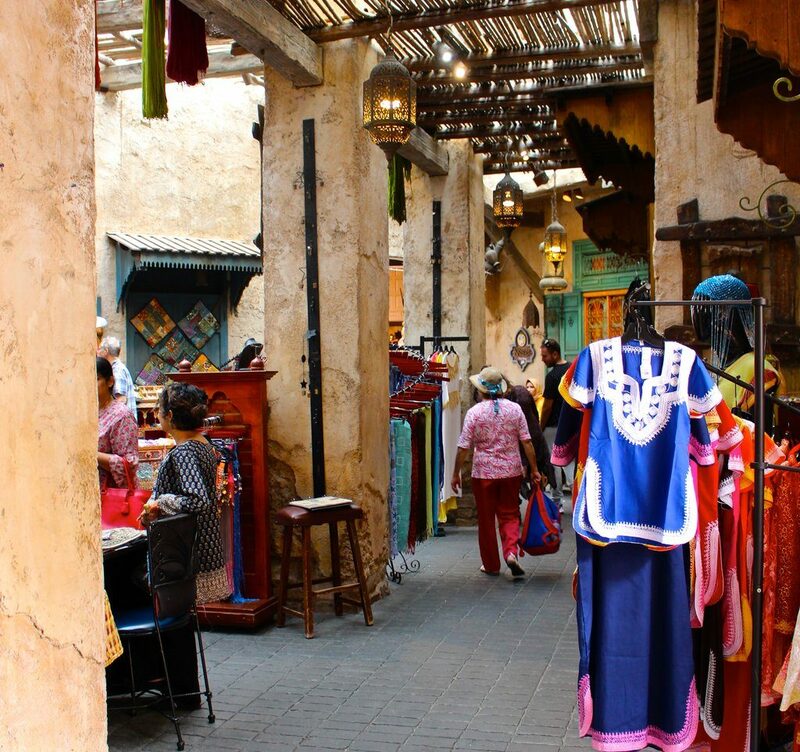 Morocco is the place to channel Princess Jasmine and roam the market streets incognito. You can even find a genie’s lamp here. Don’t pass by the two large stain glass doors. Inside is a mini-museum. I feel like Aladdin is going to jump out at any minute. 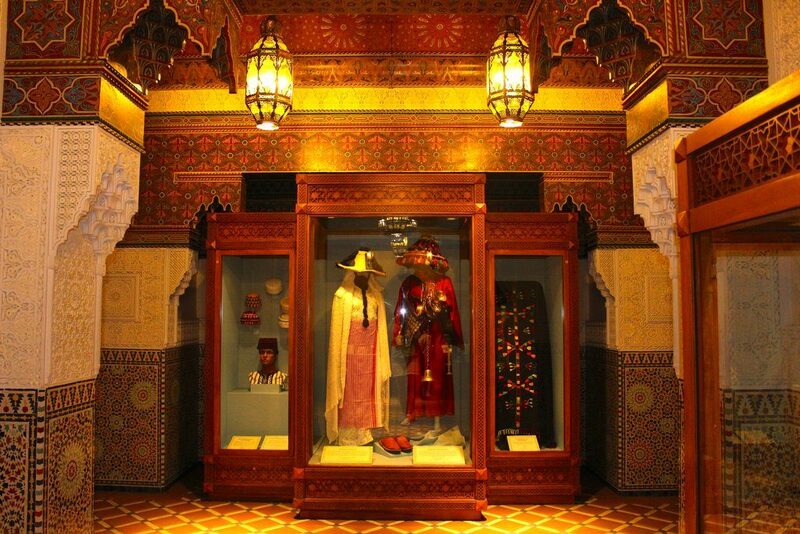 Don’t miss the Gallery of Arts and History. It’s easy to miss. For eats, my go-to right now is the Shawarma Chicken and Lamb Platter ($16.00) at Tangierine Café. 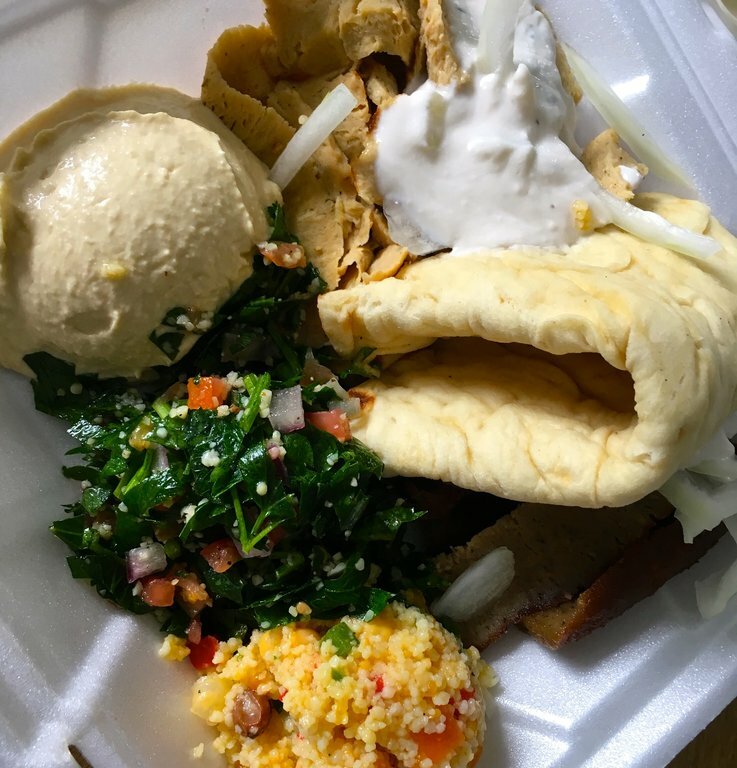 This combo is yummy and a lot of food–bread, chicken, lamb, couscous, salad, and hummus. Next is Japan. Save an hour or two for exploring this one. It has my favorite department store, Mitsukoshi. But if you start to feel your heart thumping in your chest, head outside. It’s probably the Japanese drummers practicing the ancient sound of Taiko. 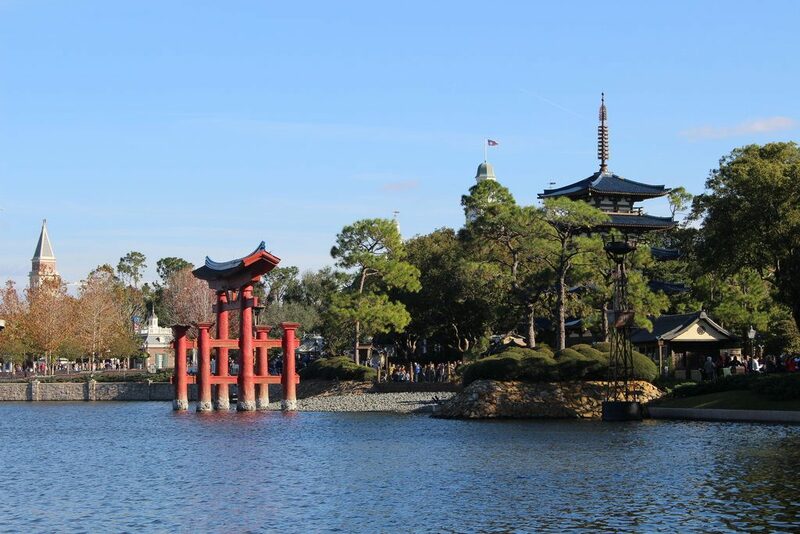 When the drums start, you can hear them throughout World Showcase. 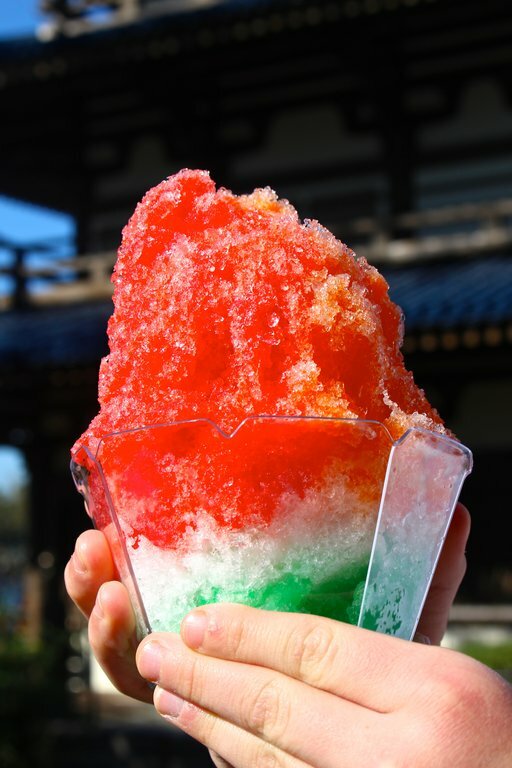 For my third favorite thing in Japan right now, I can’t decide between the Kakigori ($4.00) or the display of Bonsai. 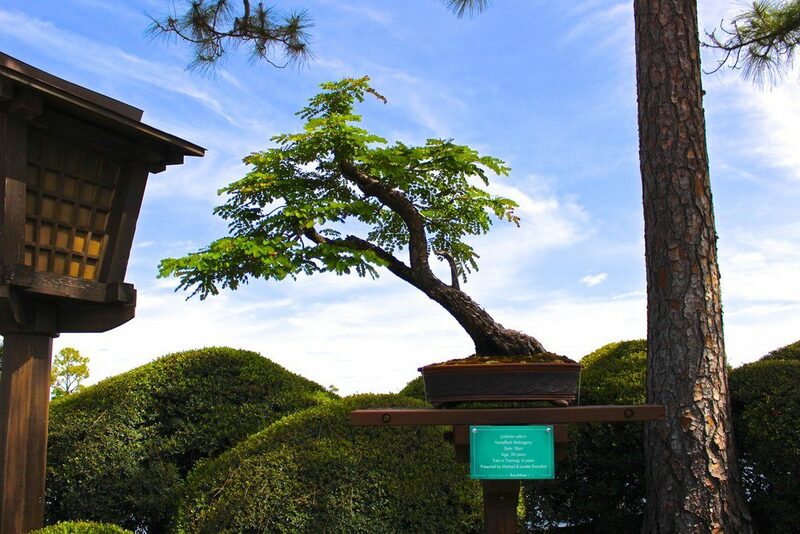 The Bonsai Societies of Florida added several examples to the landscape during the Flower & Garden Festival. We hope the display stays permanentely. 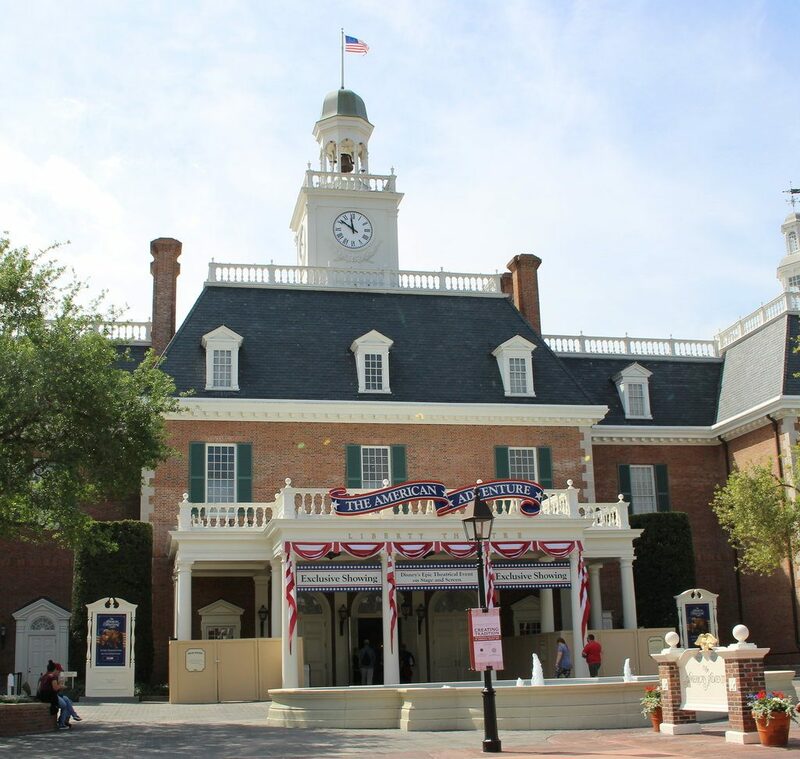 The American Adventure pavilion doesn’t always get the love it deserves from me, but it has a Top 3 too. Number one is the Voices of Liberty. 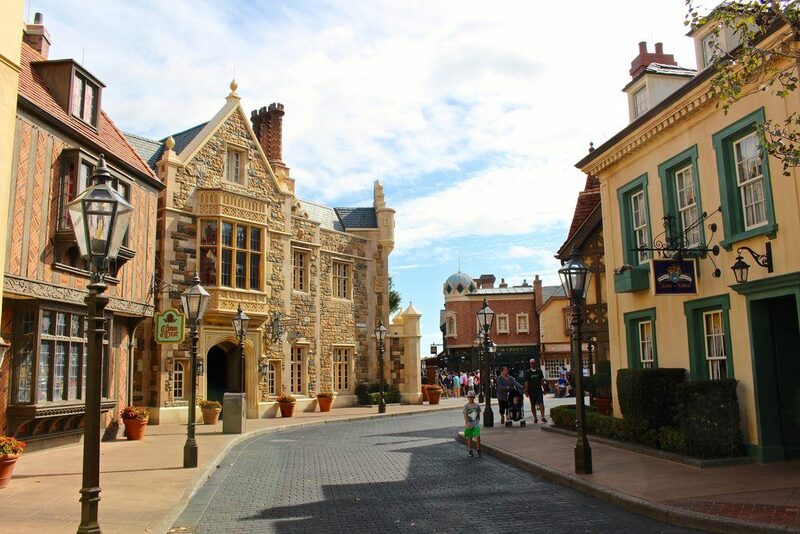 Number two is the patriotic film and Audio-Animatronics show. Number three is the beer. Right now, I’m partial to the Lexington Brewing Company Kentucky Vanilla Barrel Cream Ale ($8.75). Italy provides me with the three Ps—Pizza, Prosecco, and a Piazza. But I’ll trade my prosecco for a ride in the gondola parked out front! 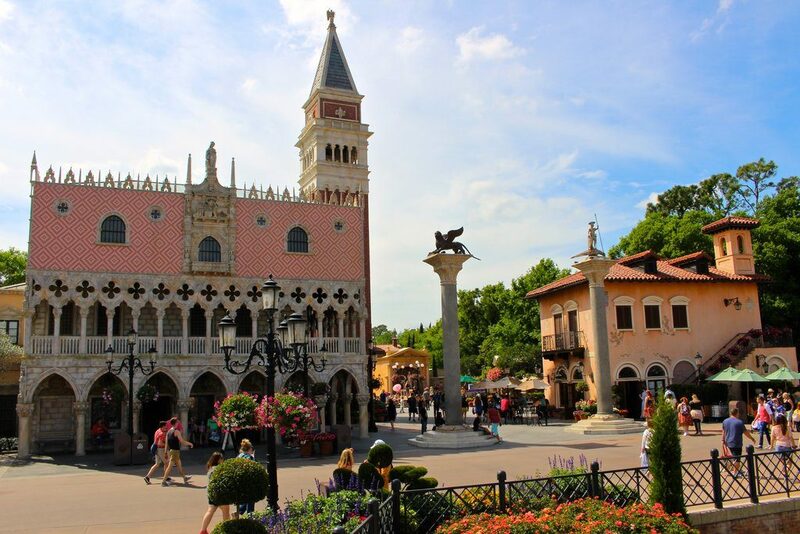 The lovely piazza hosts the occasional Disney wedding. 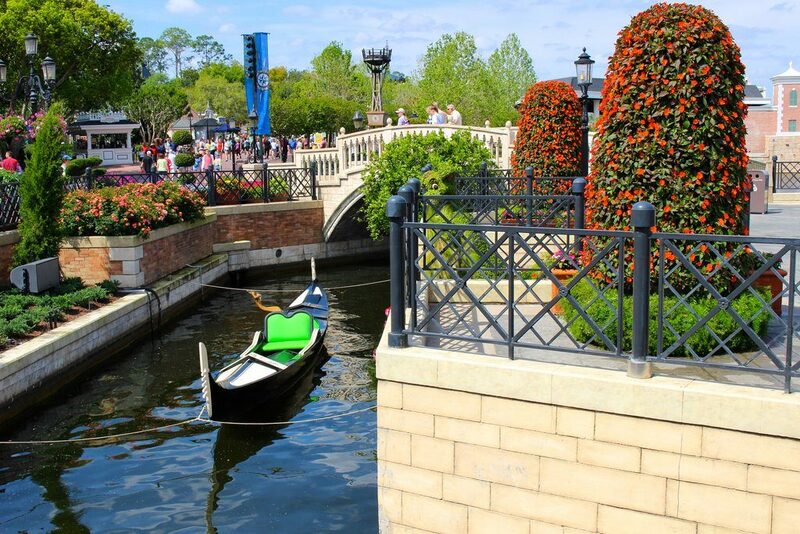 Waiting for VIP services to add gondola trips to its offerings. 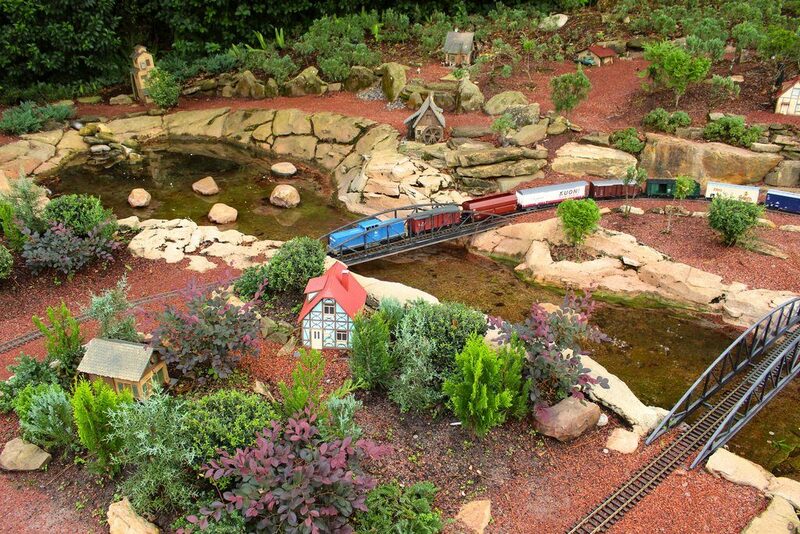 The miniature train in Germany is my #1 thing to see. Mostly because my kids have loved it since they were babies. My #2 and #3 in Germany are the toy store and the daily Octoberfest party going on at the Biergarten Restaurant. A nod to Walt and his love of trains and miniatures. Now on to China. A large, grand country condensed into one intriguing spot. 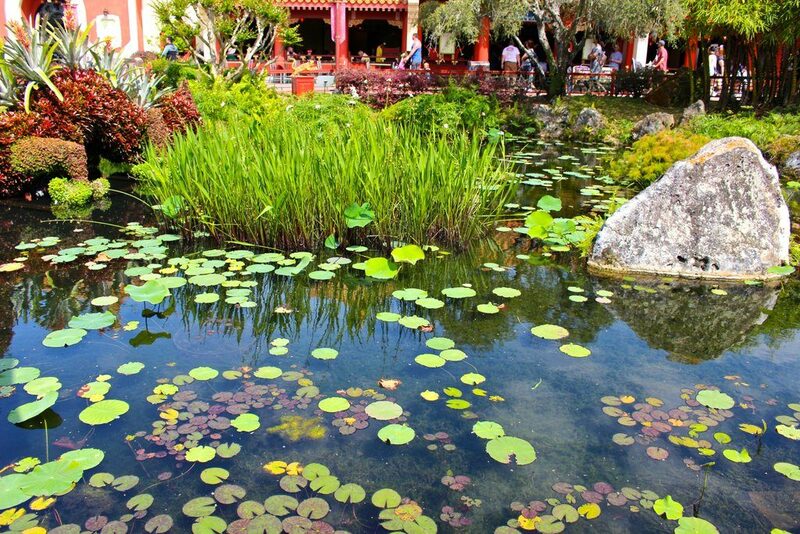 In 200 steps I can go from a tranquil lily pond to a sacred temple to a gift shop with tiny and cute merchandise. Have a napping baby in a stroller? 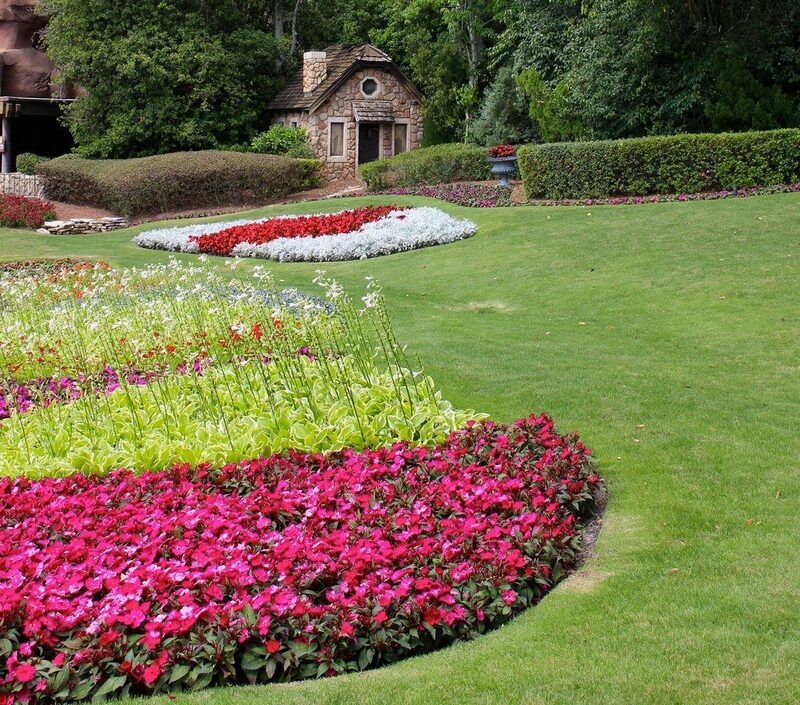 Seek out a bench near the lily pond. Norway, Norway, Norway. You were once a spot I often confused with Germany. Now you are the juggernaut home of Frozen. Luckily, you did not shed my three favorite things: the giant troll, Dale of Norway sweaters, and your sweets shop. 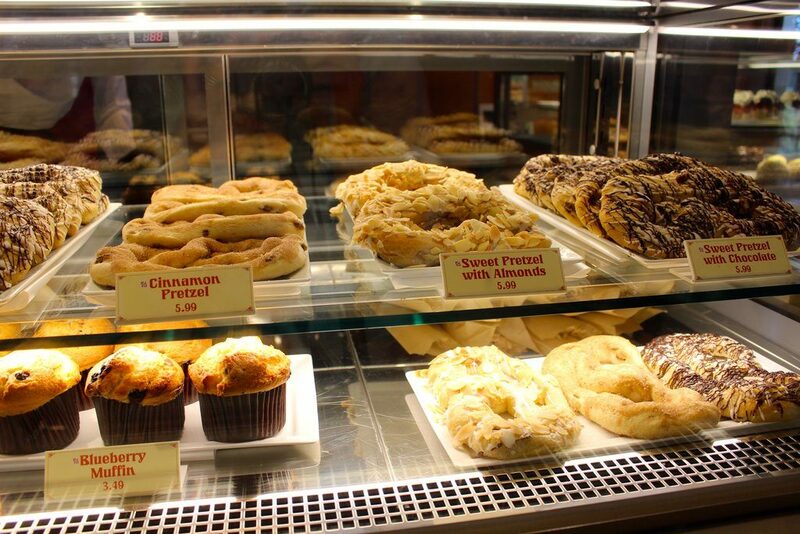 Disney food fans love the School Bread. My family is partial to Norway’s cinnamon pretzels. And last but not least i the Mexico pavilion. 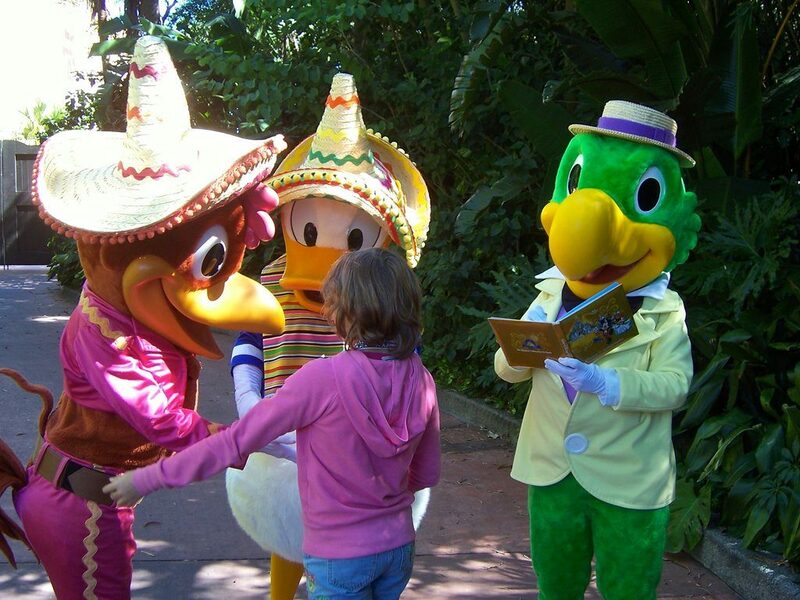 The home of the Three Caballeros, Tequila, and a year-round tribute to the Day of the Dead. I save you for last because you give me the drink I love the most—the Fiesta frozen margarita ($11.25) and the snack I love the most—empanadas ($10.50). One line, three characters. Awesome! 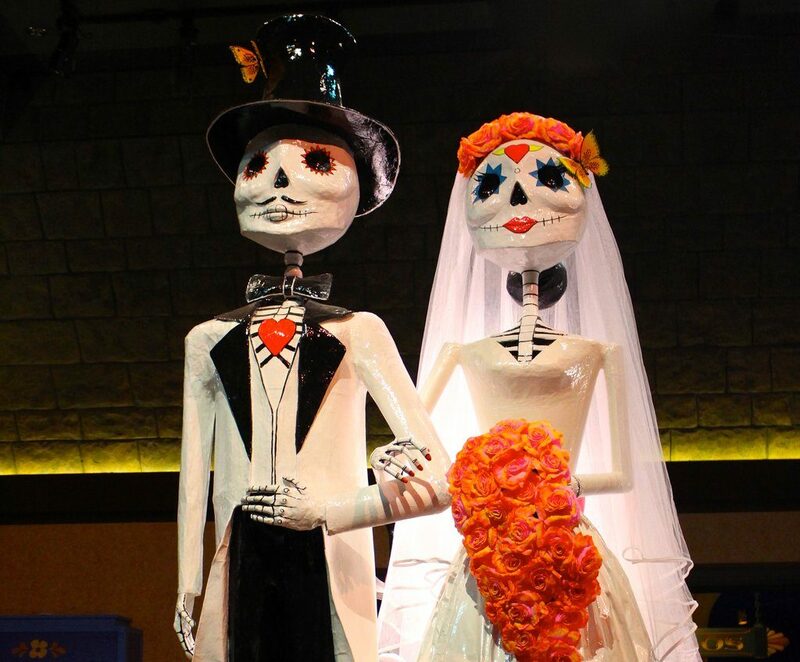 In Mexico, be sure to enter the pyramid and learn more about The Day of the Dead and browse the market. That’s Norway in the background. I know. But these Fiesta Margaritas are so popular it took me until Norway to find enough room to raise my glass and snap a photo!